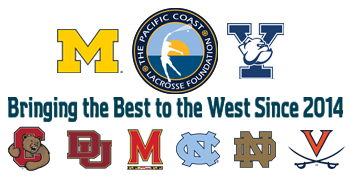 Currently in its developmental stages, the Pacific Coast Lacrosse Foundation is a California based nonprofit entity. It was established to promote the growth and development of the sport of lacrosse on the West Coast of the United States by providing educational, financial, and operational support to individuals and organizations with similar goals. The Pacific Coast Lacrosse Foundation views the Pacific Coast Shootout as an event closely aligned with the Foundation's vision.